At the beginning of this year, I shared with my wife a certain idea I had. It would require us to do a certain task every Thursday of the week. She was impressed and we kicked it off. To my surprise, when I forgot performing it, she would remind me then do it herself. But today it was different. I saw how tired she was and decided to do what she does. I entered the kitchen and she followed me in realization that I am about to do ‘her chore’, which I suggested that we be doing. I told her it’s alright and that I understand she’s been busy all day and I don’t mind helping her today. She is at first surprised but accepts my offer. This got me thinking…. I only came up with the IDEA but now she has owned the PROCESS. She took over immediately after I articulated the idea to her. What a soul. How can someone pick up your idea and run with it for your own good! For your own benefit!! It’s not common. It’s divine. Women are created to nurture. Whatever you give them, they nurture it and give it back to you when it’s full grown. Give her an idea, she comes up with a plan. Appreciate her, she will adore you. Give her an egg, she will serve you an omelette. Give her a kitchen, she will bring a buffet on the table. After nine months from conception, she will give you a bouncing baby. Show her love, she will commit for a lifetime. Ignore her, and she will forget you right there. Scold her every day, and she will resent you. Show her that you don’t care at all, she will give you hell on earth! Don’t you just love the way they are specially made! A wife is a HELPER. A helper is a person who gives assistance. Someone who supports. An aide. For someone to help you, then you must be doing something. You must be at it! For someone to assist you, you must be in need of assistance. But the fundamental principle is this; YOU MUST BE AT IT! An assistant must be one who is efficient. Someone who will make your work easier. Someone who will make the load lighter. Someone who knows the job as well or better than you at times! This is the reason why God saw that it’s not good for a man to be alone. The man was lonely. He was working day and night. He was tending the Garden of Eden and keeping it. He had too much on his shoulders. He needed someone to help him in his God given responsibilities. He needed someone who can help him have dominion, subdue the earth, to be fruitful and multiply. Now God made a suitable helper. Someone who was fit for the man. A woman comparable to the man. Note that there were animals in the vicinity. Animals of all kinds. But God found none suitable for the man. He made Eve out of Adam. Only a woman is suitable for the man. Anything else devilish! Not just any woman is fit for the man, but only God given suitable helper. A woman (read helper), finds you with a HOUSE and makes it a HOME. A woman finds you with a BED and makes it your DWELLING. A woman finds you with a JOB and helps you find your WORK! A woman finds you MOVING and helps you get to your DESTINATION. A woman finds you with a VISION and helps you ACCOMPLISH it! A woman finds you with a TALENT and helps you find your MINISTRY! This is the power of a nurturing woman. She gives unconditionally. If you are this kind of a woman, keep it real, if you are not, find your way back madam. A husband doesn’t need approval from another man in order to feel that he’s the man. Just one approval from the wife will take him a thousand miles. If the wife is supportive enough, he is good to go. If she’s not, trouble is knocking at the door. The man is the vision bearer. The wife is the catalyst, the environment that the vision needs to thrive. The man is the priest of the home, the wife is the presence that the priest operates. 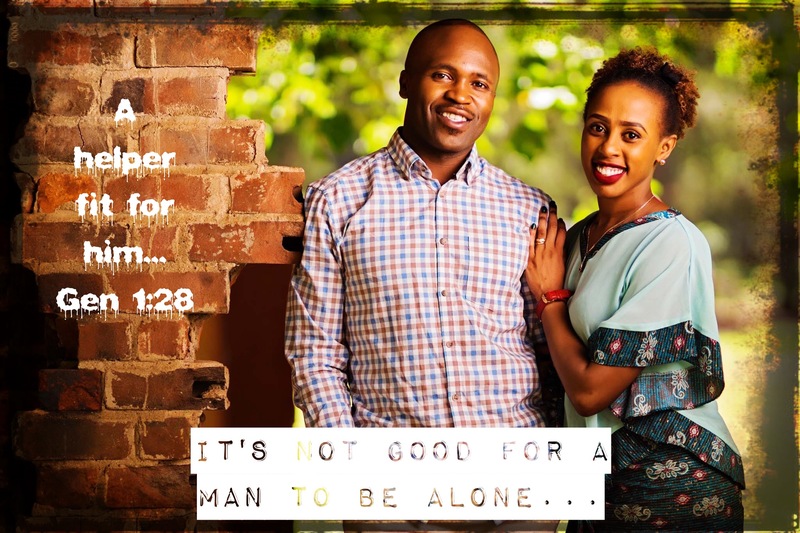 A husband must walk in the presence of favour! He must walk with his shoulders high because he has found a good thing. This was/and still is the God’s plan for marriage. Next PostOUR LANGUAGE OF LOVE!